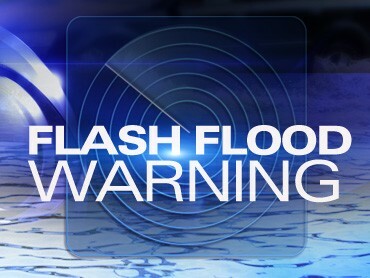 October 31, 2013 (Williamson County, TX) – Williamson County Office of Emergency Management has issued voluntary evacuations of homes in the east Round Rock/Hutto area due to water rising along Brushy Creek. The City of Hutto has set up temporary shelters at Hutto Middle School, 1005 Exchange Blvd., for approximately 16 homes evacuated along CR 123 and north of Brushy Creek. For homes south of Brushy Creek along Riverwalk, 58 contacts were called to evacuate and are asked to go to Pflugerville High School, 1301 W. Pecan, Pflugerville. In addition, approximately 14 residents along CR 129 have been evacuated. People north of the Brushy Creek can seek shelter at the Hutto Middle School. People south of Brushy Creek can go to the Pflugerville High School. The Williamson County Unified Road System announces the following roads are closed due to high water on Thursday, October 31, at 2:00 a.m. For updated road closure information, check the county website at www.wilcogov.org. C.R. 123, CR 137, 685 at Brushy Creek, FM 1660 south of Hwy. 79, CR 152 @ Amasia, CR 398, CR 122, CR 110, Brushy Creek Road, Brushy Bend Road and RM 620 at Shady Lane. To view a map of closed roads, click here. Monitor NOAA Weather Radio, or local news for the latest weather information. If flooding occurs, get to higher ground. Get out of areas subject to flooding. Avoid areas already flooded, especially if the water is flowing. Road beds may be washed out under flood waters. NEVER drive through flooded roadways. Do not camp or park your vehicle along streams and washes. This entry was posted in Breaking News, Weather, What's New? and tagged evacuations, flooding, roads closed on October 31, 2013 by Stewart Dale Spencer.